Life can really throw you some curve balls. Change happens, and sometimes you aren’t prepared for it. One of those things could be preparing to store your car for a long period of time. Most of us have been told to make sure your vehicle is driven periodically to prevent the wear and tear or failure of parts, but what if you aren’t able to drive your car for months at a time? According to CarFax and Edmunds.com, there are some specific tasks you should complete to prepare your vehicle for long-term storage if you want to preserve the life of your car’s engine when you return. Clean your car – Make sure to clean both the inside and outside. Water stains, tree sap, bird droppings and more can ruin the paint if not cleaned, and any food crumbs or stains inside the car can cause a bug problem. 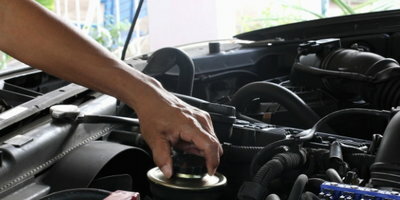 Change the oil – Check that the oil that is at the viscosity recommended for your car. Because used oil has contaminants, not doing this could damage the engine over time. Fill your gas tank – Top off your gas tank. Doing this prevents the seals from drying out and moisture from building up inside the fuel tank. It is also highly recommend that you buy a fuel stabilizer to protect the engine from rust and ethanol buildup. Preserve the battery – There are two options for this: either disconnect the negative battery cable or buy a battery tender (also called a trickle charger). Disconnecting the cable will most likely reset your stereo, time and other settings, but if you want to keep them, you can usually buy a battery tender for anywhere from $20 to $80. Remove windshield wiper blades – Store the wiper blades away inside. Keeping them wrapped in towels at room temperature, off the car, will prevent them from becoming brittle and possibly damaging the windshield. Don’t use the parking brake – This one might be surprising, but when the brake pads come in contact with the rotors for a long period of time they could stick together. Edmunds recommends you buy a tire stopper (a chock) to keep your brakes intact. Check your tires – Always make sure your tires are inflated to the recommended pressure. Along with this, a good tip to prevent flat spots is to remove your tires from the car and place the vehicle on jack stands. Prevent critters – There are lots of nooks and crannies your car has for critters to nest in and damage. You should cover the exhaust pipe or air intake with a rag to prevent them entering, and dip cotton balls in peppermint oil and spread them around the car—the smell of peppermint will drive mice away. Look under your hood – Make sure there aren’t any rodents or signs that critters have been using your car (look for chewed belts, wires and hoses). 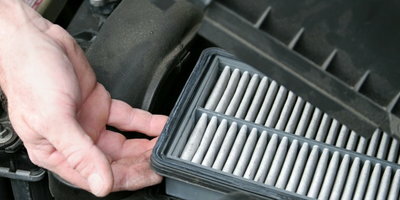 If you put a rag in the exhaust and/or air intake, remember to remove them. Put the wiper blades back on – Double check that they aren’t damaged or rotted before putting them on your car. Re-check the tire pressure, and replace your tires if they were removed - Check brakes for rust and other damage. Check fluids for leaks - make sure they’re at the recommended levels. Reconnect battery - If you removed the battery cable, check that the terminals are clean before reconnecting. Wash your car - Wash your car to remove dirt or dust buildup. No matter the circumstances, a long-term lack of use in a car can be damaging. It’s important to take car of your car, even when you aren’t using it. 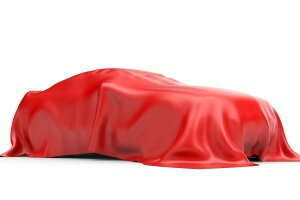 Do you need a new car, but bad credit has you down? Auto Credit Express can help. We help by matching you with one of our special finance dealers who have access to lenders that can assist people like you who are struggling with bad credit. Get started today, simply fill out our free, no obligations auto loan request form.